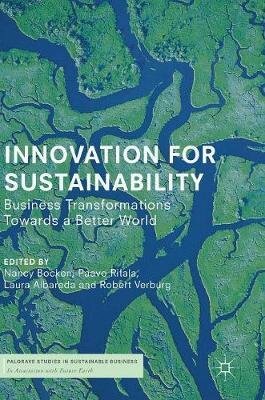 The aim of this edited book is to provide a comprehensive overview of the opportunities and challenges related to innovation for sustainability. Combining work from both emerging and established scholars in different academic fields, this book provides an integrated understanding of the topic from four perspectives. First, the big picture: frameworks, types, and drivers; second, strategy and leadership; third, measurement and assessment and fourth, tools, methods and technologies. Chapter 11 of this book is available open access under a CC BY 4.0 license at link.springer.com. The editors donate their remuneration for this book to conservation organisation the WWF.